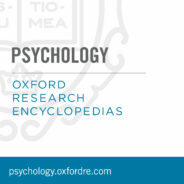 Substantive, peer-reviewed, and regularly updated, the Oxford Research Encyclopedia of Psychology combines the speed & flexibility of digital with the rigorous standards of academic publishing. Employees in the modern work force are faced with obstacles every day that prompt stress. These work-related stressors can lead to different kinds of strains that affect both the health and the well-being of the employee and the organization. Various types of stress management interventions, guided by organizational development and work stress frameworks, may be employed to prevent or cope with job stressors and manage strains that develop. Using the Oxford Research Encyclopedia of Psychology, we’ll define these stressors and strains and then explore some stress management techniques. Feature image credit: Photo by rawpixel on Unsplash. Anne Marie Turner is an Assistant Marketing Manager for Oxford University Press.